The Honest Company asks consumers to buy their products because every purchase helps fund research, education, and access to products that create healthy, safe environments for children during their most formative years. 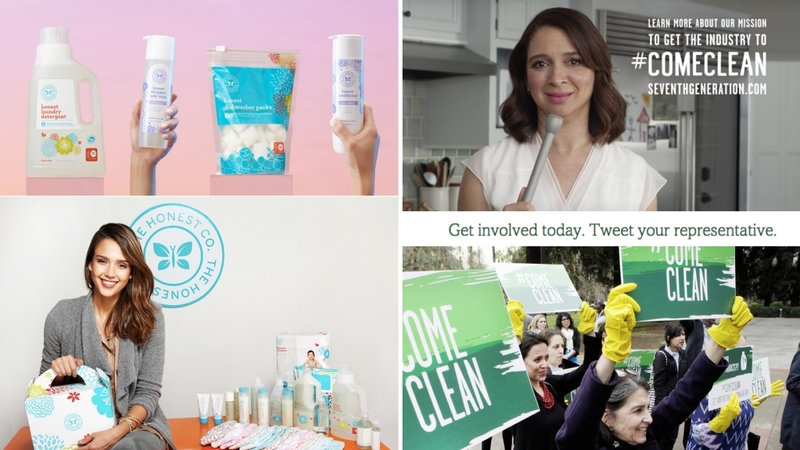 Seventh Generation asks people to help them fight for federal legislation that requires ingredient disclosure on cleaning product labels. Airbnb’s mission imagines a world where people can belong anywhere, using house sharing as a means to build understanding and move us towards a society that is welcoming to people of all races, colors and beliefs. 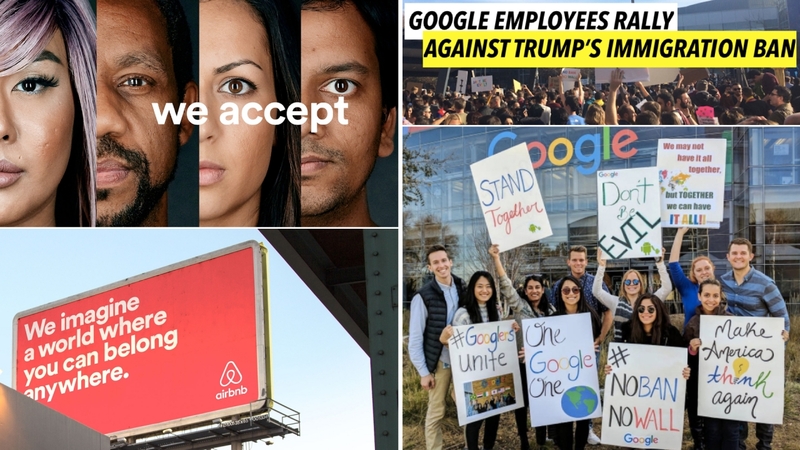 Google, who relies on many immigrant employees among its workforce, rallied at Google’s mountain view headquarters in reaction against Trump’s immigration ban. 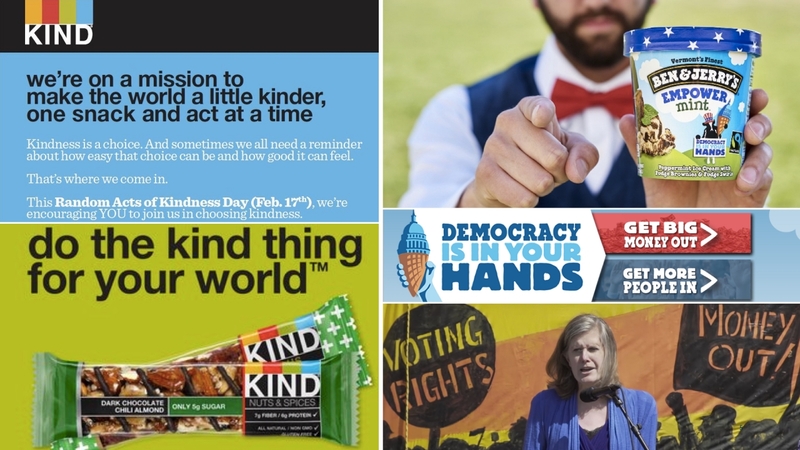 Kind Snacks is on a mission to inspire kindness one act at a time, which comes to life through the Kind Foundation, a nonprofit established by Kind that aims to inspire and fund positive action at the community level. Ben & Jerry’s takes a more activist approach, advocating for causes like equal voting rights by inviting racial justice activists to meet employees at their company headquarters, raising money for the NAACP, and urging citizens to vote and sign petitions. 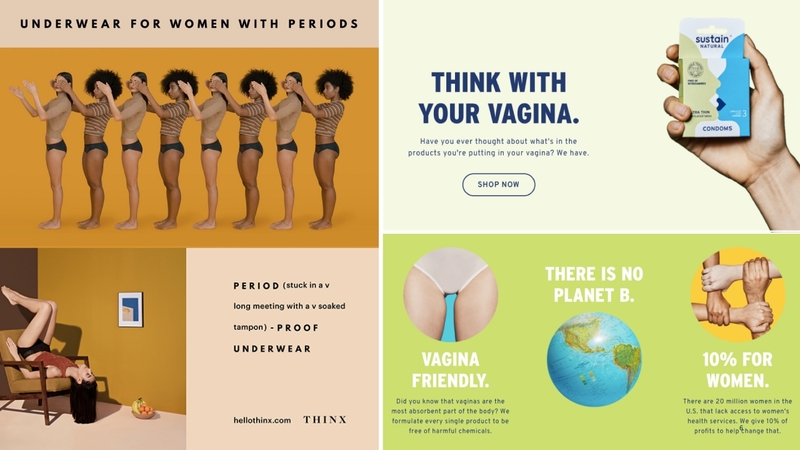 Thinx, a unique “period proof” underwear company advertises with provocative, empowering imagery that shows off a beautiful product and the wide array of people with periods that can use it. the brand’s commitments to female empowerment through education and employment happen more behind the scenes. 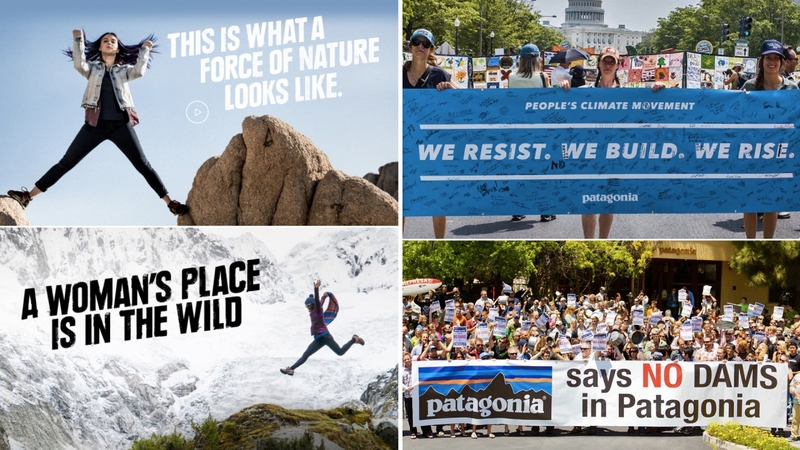 Compare that to Sustain Natural Condoms whose marketing leads with the unique environmental and health benefits of the product.